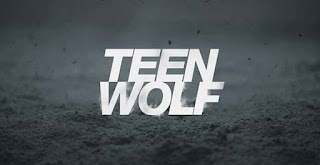 With only 10 episodes making up this portion of the season's arc, which will consist of two 10-episode arcs, Teen Wolf is wasting no time delving into the meat of their conflict for the Beacon Hills gang to fight off. "Parasomnia" spends much of its time introducing us to a character named Tracy, who is being plagued with, you guessed it, parasomnia. Essentially what this means is that she severe night terrors and often struggles to know whether she's awake or asleep. Jump skip ahead where it's revealed that she's being injected with some unknown substance by the same hooded figures that sent the light-up-taloned creature to attack Scott and she is apparently turning into either a werewolf or some other similarly clawed, teethed creature. The pacing, writing, and visual delivery of this plot was well-executed and served as a way to merge with Dr. Deacon's explanation that this new threat is looking to break the supernatural laws of existence. It showed just how powerful and dangerous they are and that the Beacon Hills gang will have one hell of a time fighting them off. Also introduced is the fact that Scott is hoping to follow in Dr. Deaton's footsteps to become a veterinarian. (Obviously True-Alpha-ing isn't going to pay the bills). It entirely suits the character, as Scott is a natural at healing and nurturing those around him. He even healed Stiles' injured hand after Stiles punched his car engine in a fit of frustration over his worries about Scott's quickness to trust others, and likely his anxieties over keeping his band of friends together once high school finishes. It's nice to see these scenes where he see how deeply Scott and Stiles care for one another, as theirs is the core friendship that the show was built on. But getting back to Scott's interest in becoming a veterinarian, it's also nice to watch this play out as we see Scott taking this goal seriously by striving to be in the AP Biology course. Besides the obvious comedic relief of Scott being entirely proud of his knowing that 'AP' stands for Advanced Placement, we appreciate this plot point because one of the irksome reasons that often prevents us from watching media content set in high school is the often blatant disregard for academics in the plot. It's often so far from the scope of realism that we can't wrap our head around watching it. 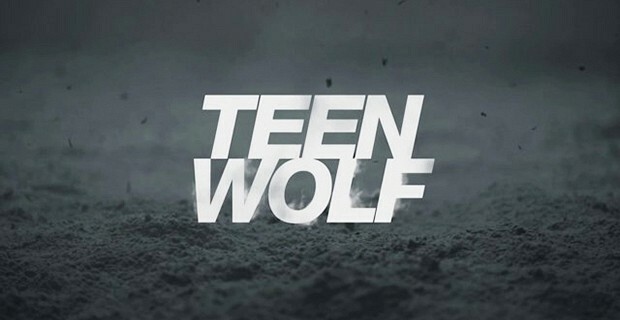 Stiles is shown to be right in his suspicions of Theo, who is shown to be holding a man and woman hostage under the threat of violence to pose as his parents. However, we're just not buying into the threat that Theo is apparently supposed to be posing. Perhaps it comes from the fact that there just isn't enough grit or menace in Cody Christian's performance or also because it just seems too obvious for him to be some big, scary threat, particularly when we already have these masked figures to be concerned about. But we'll happily tune in for more developments on this plot point. One final question we have is, when are we going to see Derek again? We know that Tyler Hoechlin has been downgraded to a recurring role because of his wish to pursue more film work but two episodes in and only one or two mentions of Derek Hale have been made; naturally we'd be curious as to what our broodiest of werewolves is up to!